Even dedicated workaholics such as the editors of your EGU GD Blog Team sometimes deserve a break! Let me clarify that by saying ‘an intentional break’ (because uploading every Wednesday is hard!). We will be ‘on holiday’ during August, so there won’t be any new blog posts then. But don’t worry: we will be back stronger than ever in September and we already have a lot of very good blog posts in the pipeline for you. 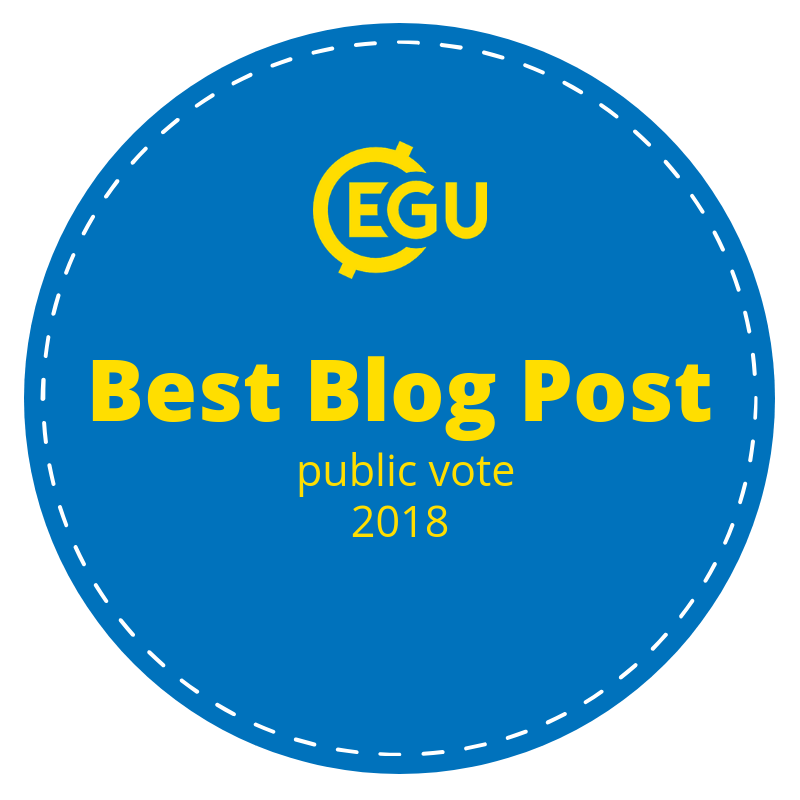 To start the holidays properly and to get you in the holiday spirit as well, the EGU GD Blog Team shares their geodynamical holiday recommendations with you. Enjoy & relax! Go. To. Edinburgh. 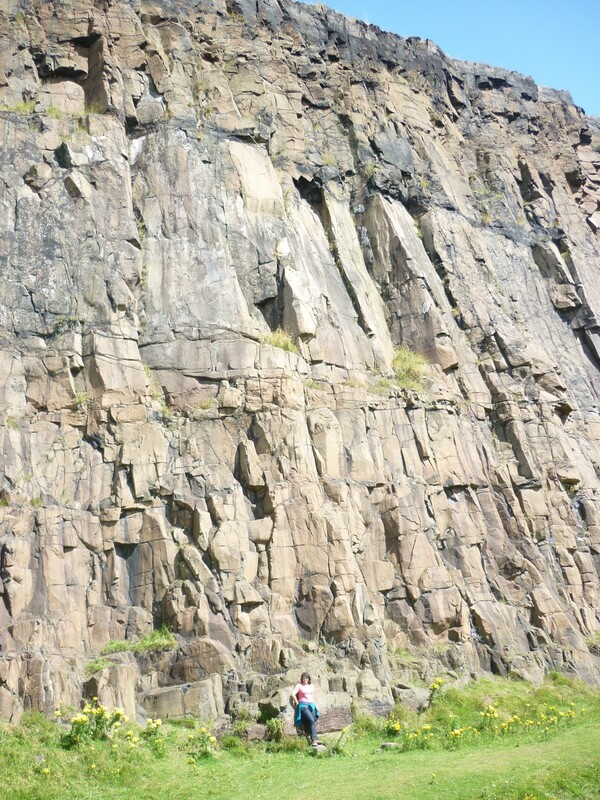 Seriously: Edinburgh is the place to be for anyone who has an affinity with the Earth sciences. In this beautiful, historic city, James Hutton – the founder of modern geology, who originated the idea of uniformitarianism – lived and died. Everywhere in the city you can find little reminders indicating this iconic scientist lived there. You could, for example, visit his grave, and hike to his geological section on Edinburgh’s Salisbury Crags. There are also little plaques spread around the city that mark significant James Hutton places and events. The city itself is also steeped in a mix of geology and history: Edinburgh Castle, situated on the impressive volcanic Castle Rock, boasts an 1100-year-old history and towers over the city. Directly across from the castle, connected by the charming Royal Mile is Holyrood Palace, where you can soak up even more history – Mary Queen of Scots lived here for a while. 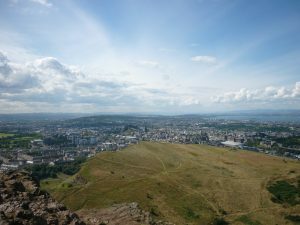 Nearby, there is Holyrood Park where you can find the group of hills that hosts Hutton’s Section and a 350 million year old volcano named Arthur’s Seat. Climb it when the weather is nice and you will have the most amazing view of Edinburgh. The whole park is perfect for day hikes and picknicks. Even if you (or your travel buddy) are not that into Earth Sciences (or history), Edinburgh has plenty of other attractions. It is the perfect place for book and literature lovers with the large International Book Festival every August and a very rich literary history with iconic writers such as Walter Scott (Ivanhoe), Robert Louis Stevenson (Strange Case of Dr Jekyll and Mr Hyde; Treasure Island), Arthur Conan Doyle (Sherlock Holmes), and – more recently – J. K. Rowling (Harry Potter). Theatre fans will also love Edinburgh, particularly during August when it hosts the Edinburgh Festival Fringe – the largest arts festival in the world. I totally should’ve booked a trip to Edinburgh this year… Learn from my mistakes and enjoy it in my stead! 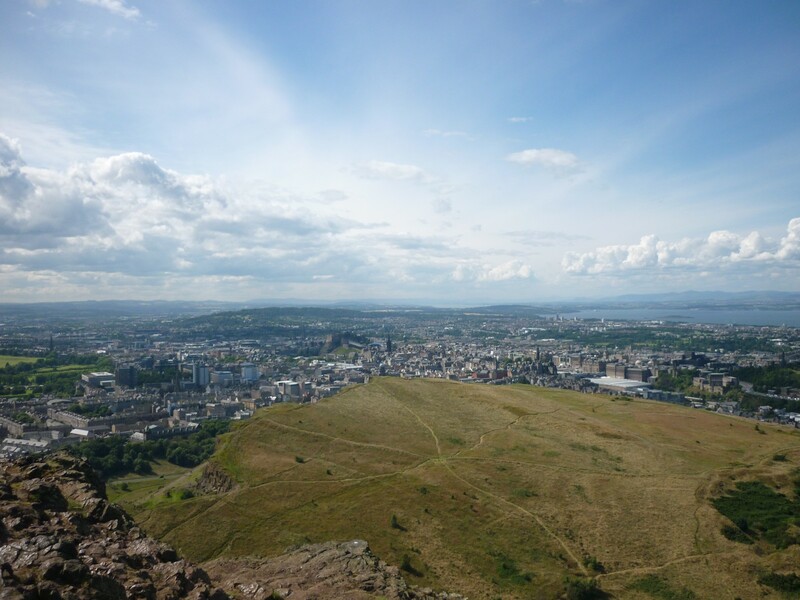 The view of Edinburgh when you’re standing on top of Arthur’s Seat: a more than 300 million year old volcano. Pretty epic. My recommendation? I vote for the Aeolian Islands! Smouldering volcanoes, bubbling mud baths and steaming fumaroles make these tiny islands north of Sicily a truly hot destination. This is the best place to practice the joys of “dolce far niente“: eat, sleep, and play. The Aeolian Arc is a volcanic structure, about 200 km long, located on the internal margin of the Calabrian-Peloritan Arc. The arc is formed by seven subaerial volcanic edifices (Alicudi, Filicudi, Salina, Lipari, Vulcano, Panarea, and Stromboli) and by several volcanic seamounts which roughly surround the Marsili Basin. The subduction-related volcanic activity showed the same eastward migration going from the Oligo-Miocene Sardinian Arc to the Pliocene Anchise-Ponza Arc and, at last, to the Pleistocene Aeolian Arc. 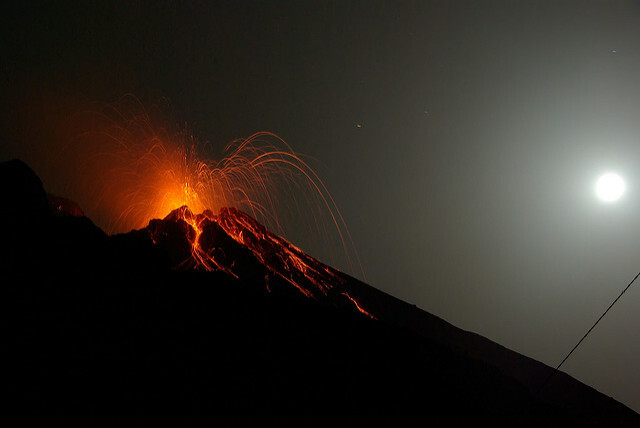 My favourite island, Stromboli, is one of the few volcanoes on earth displaying continuous eruptive activity over a period longer than a few years or decades. I like Stromboli because it conforms perfectly to one’s childhood idea of a volcano, with its symmetrical, smoking silhouette rising from the sea. Most of this activity is of a very moderate size, consisting of brief and small bursts of glowing lava fragments to heights of rarely more than 150 m above the vents. Occasionally, there are periods of stronger, more continuous activity, with fountaining lasting several hours, violent ejection of blocks and large bombs, and, still more rarely, lava outflow. I can’t quite explain what made it so special to me. It may be because Stromboli itself is an island, and all the time during the hike I enjoyed splendid sea views (with a beer in my hand). It may be the all encompassing experience, where I could see, hear and literally feel the lava explosions. It was simply fantastic. A summer without beach-time is not a summer to me (already got one beach-day in this year, phew). Being Dutch, a proper holiday also requires some proper mountains – or hills at least. And no trip is complete without cultural and culinary highlights to explore. Montenegro is a country that ticks all the boxes. Situated along the Adriatic Sea it hosts a score of picture-perfect beaches; quiet or taken over by the jet-set, intimate coves or long stretches of white sand, take your pick. Further inland, you reach the Dinarides orogenic chain, the product of 150 My of contractional tectonics and later collapse during the Miocene. Traversing the chain into neighboring Serbia will lead you past complete ophiolite sequences, syn-orognic magma intrusions and major detachment zones of the extensional orogenic collapse. 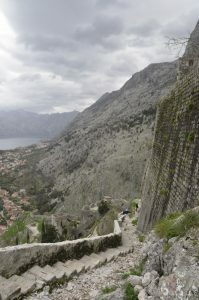 Visit the centuries old fortified coastal cities of Budva or Kotor or one of the many churches and frescoed monasteries spread around the countryside. For more bodily sustenance, enjoy the fresh fish dishes, rich meats or the regional cheeses and yoghurts. Seasonal fruits are eaten for dessert or, even better, turned into wine and rakija. 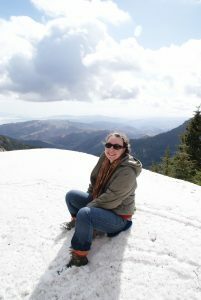 Ehm, why I am not going there again this year – this time in summer? This year, my favourite geodynamical destination is CIDER 2018! It’s far from holidays… but it’s really cool! For the last three weeks (one week to go), we have been intensely learning about heterogeneity in the Earth, and trying to understand it in an interdisciplinary perspective with contributions from geochemistry, geodynamics, and seismology. Quite an intense schedule and a lot of information to process, but I think we are all learning a lot, and hopefully in the future we will use more constraints coming from other fields into our own work. Oh, and did I mention that it is happening in Santa Barbara? 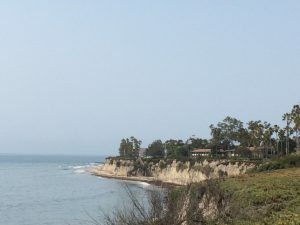 Great Californian weather, beautiful coastal landscapes, barbecues by the beach, and swimming in the ocean, all sprinkled with scientific discussions! Quite the geodynamical destination, no? 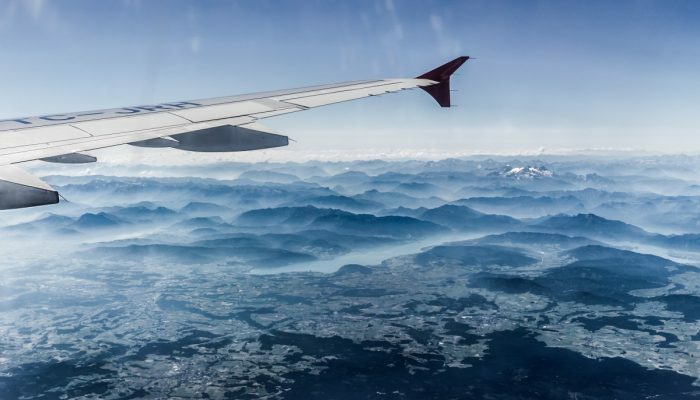 Geoscientists are no strangers to travelling to exotic places and many of us take the opportunity to turn a work-related trip into potential holiday scouting. My suggested destination is most probably the northernmost point you can quite easily travel to on this planet – Svalbard. Svalbard is an Arctic archipelago located around between 74-81°N latitude. It is sometimes confused with Spitsbergen, which is actually the name of the largest island where the main settlements, including Longyearbyen and Barentsburg, are situated. The islands are part of Norwegian sovereignty, though with some interesting taxation and military restrictions (the Svalbard Treaty of 1920 makes for some pretty interesting reading). Svalbard is host to a stream of tourists and scientific researchers year-round, and this week I will travel back to Longyearbyen as a lecturer for an Arctic tectonics, volcanism and geodynamics course at the University Centre in Svalbard (UNIS). Geologically speaking, Svalbard makes for a very interesting destination. It offers a diverse range of rock ages and types; having experienced orogenic deformation events, widespread magmatism, and extensive sedimentary and glacial processes. If you’re after a more usual tourist package amongst the draw cards are of course iconic polar bears (though please keep your distance), stumpy reindeer, arctic foxes, whales, birds and special flora. There are many glaciers – in fact around 60% of Svalbard is covered in ice – as well as fjords and mountains, former coal mining settlements… the list goes on. You are even spoilt for choice between midnight sun or midday darkness, depending on the time of year, so prioritise your activities wisely. Plus, did I mention those miles and miles of unvegetated, uninterrupted rock exposures to keep any geology enthusiast happy?… if you’re lucky you might come across some incredible fossil sites. 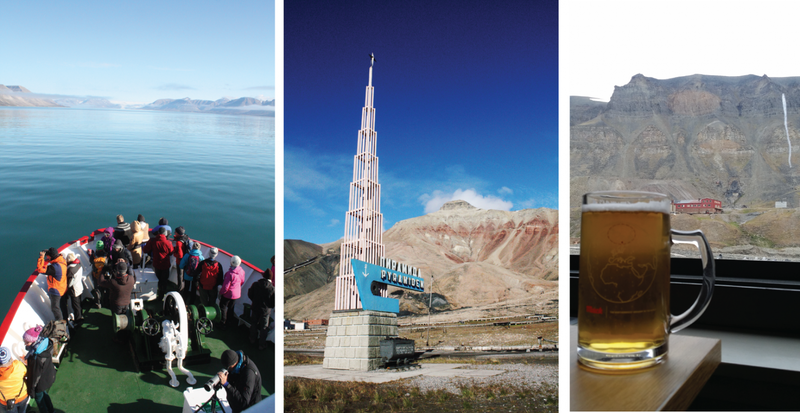 Itinerary recommendation, tried and tested: Whale watching and fjord cruising to a Russian mining ghost town (Pyramiden) followed by an important sampling of the world’s northernmost brewery.